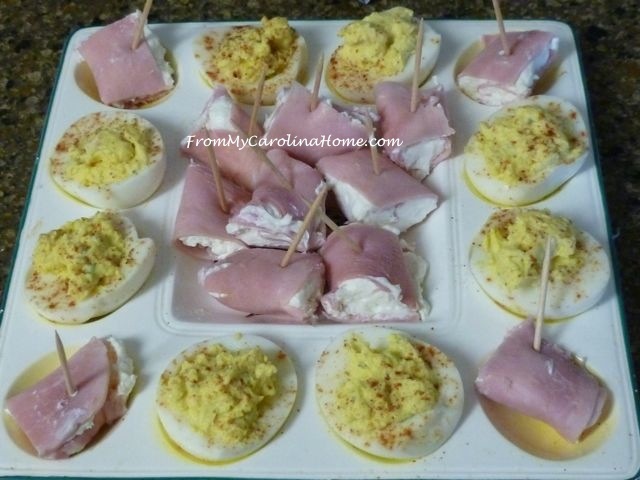 Last holiday cookout time, I showed a plate of my deviled eggs with a ham roll-up appetizer. 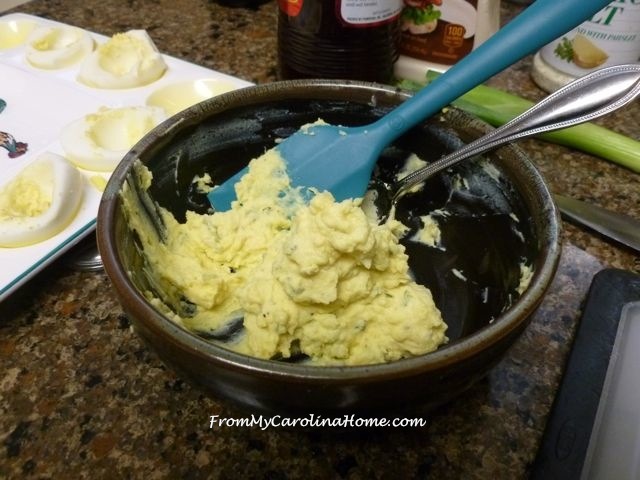 I have a great recipe for deviled eggs with variations, just read all the way to the end for the last recipe you will ever need. 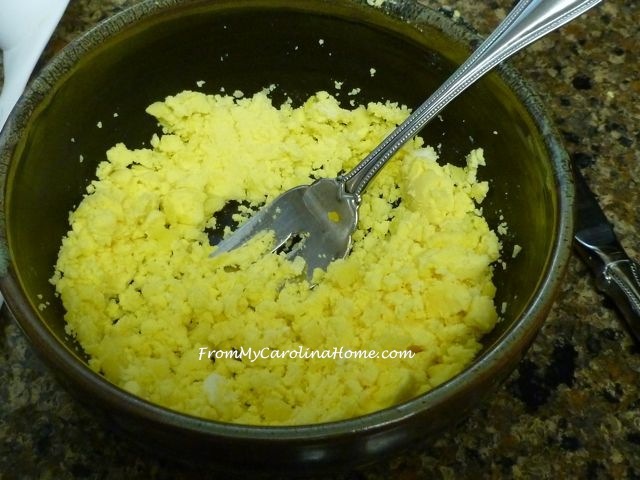 In the comments, reader Jackie asked if I would share the recipe for the eggs. So, Jackie, here you go, just in time for a Labor Day picnic (or sharing in 2017 for summer picnic time)! 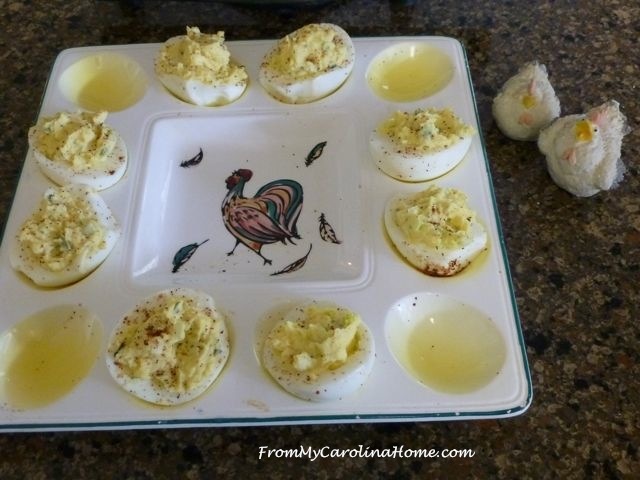 Perfect deviled eggs have a few components that I divided into these categories that are added to the yolks – the Base (mayo), Heat (mustard or horseradish), Acid (vinegar), Spice (garlic, lemon pepper, parsley), Add-Ins (onion), Add-Ons and Finish (Paprika or Chipotle). Each time I make them, they are a little bit different. But, if you cannot boil an egg, you are behind from the start. So here is the way that works for me. I have read a lot of different ways on the internet and tried dozens of ways with varying success, but I believe that there are so many variables there can be no one way that works for everyone. Variables like altitude, the size of your eggs, how fresh they are, how high the temperature gets when your water boils (altitude and things like salt, vinegar or oil added to the water will actually change that from the standard 212 degrees), how long you leave the eggs at the high temperature, how long the eggs sit in the cooling water, so much!! 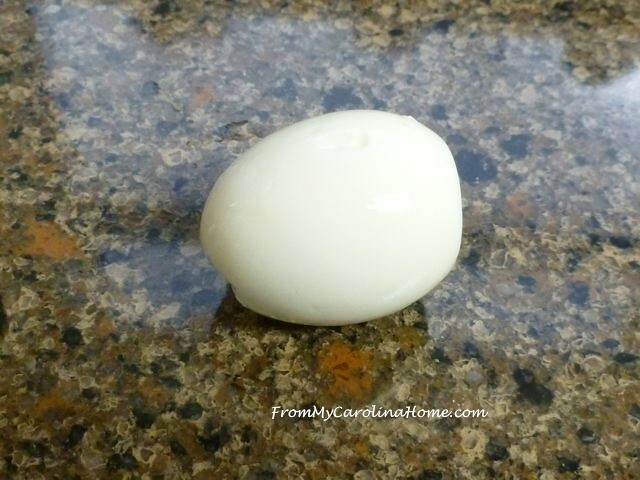 The ideal is to get a perfectly cooked yolk, without making the white part into rubber, and eliminate the ugly green skin that forms when the yolk gets too hot. 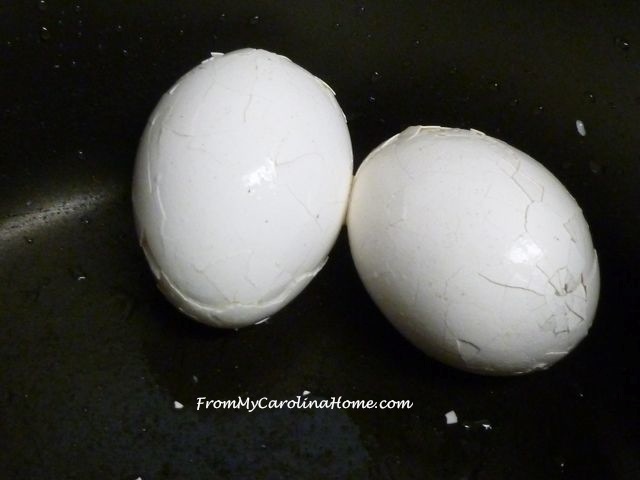 First rule, boil more eggs than you will need, there will usually be one or two that crack or don’t peel nicely. Those get to be egg salad or put into tuna salad, or chopped over a green tossed salad. 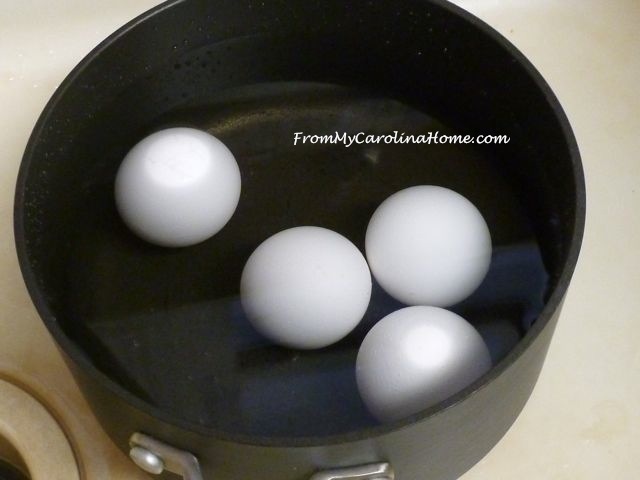 So, start by placing your eggs carefully into a pan that fits them with adequate space between. 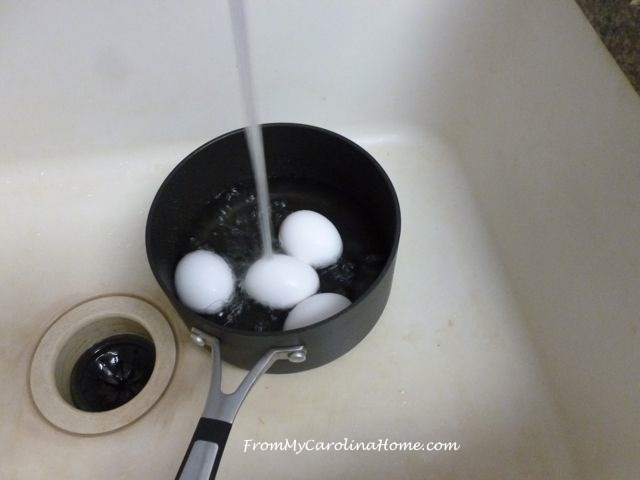 Fill the pan with cool water until the eggs are covered. If your eggs are older, they will float on the large end from the air space. Don’t worry about that. Place the pan on the stove and turn on the heat to high. Stand there and wait for the eggs to boil. 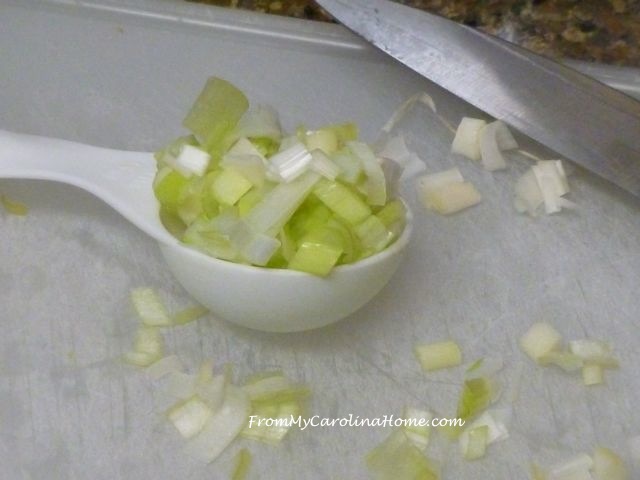 You can chop onions or do other things, but don’t walk away from the stove. 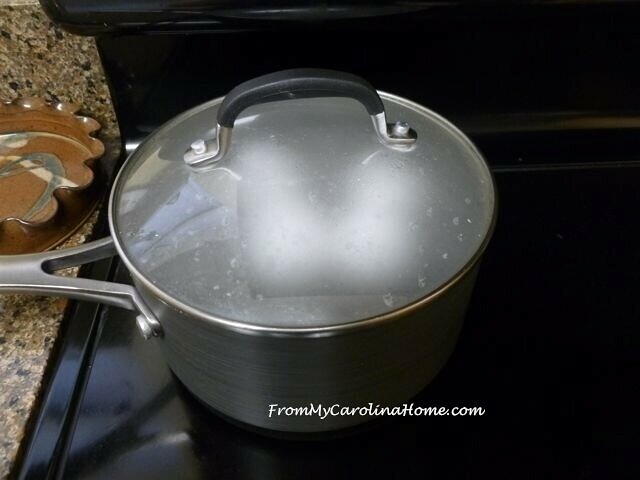 Just as soon as the water boils nicely, turn off the heat, cover the pan, and let it sit on the cooling burner 12-15 minutes depending on if you are using medium, large, extra large or jumbo eggs. 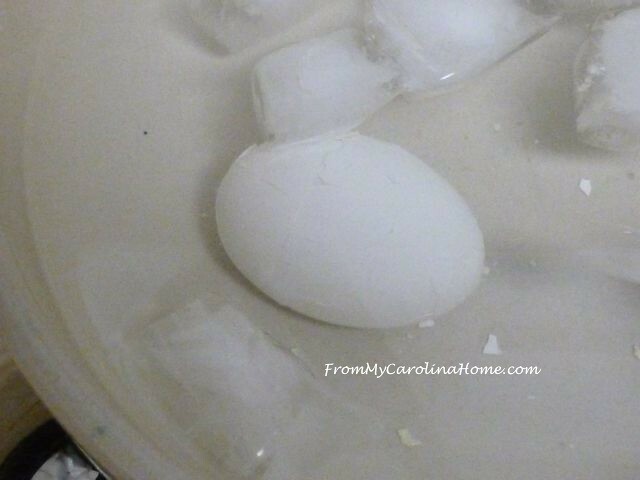 Gently pour off the hot water, and plunge the eggs into a bowl of ice water. Let them sit for a minute, then one at a time, take them out and gently crack the shell all over. Sometimes I take them all out and shake the eggs in the pan to crack them evenly all at once before returning them to the ice water. 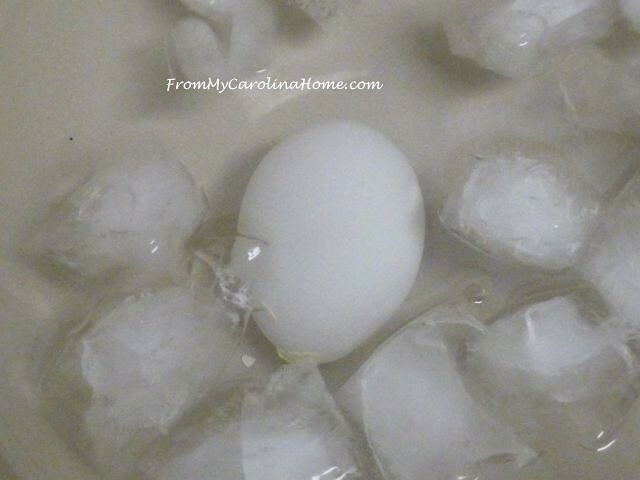 Return the cracked eggs to the ice water. This will separate the membrane just under the shell from the cooked egg white, and will allow the shell to slide off in big chunks. Now go back to the first one, and peel it, using running cool water helps too. Dry it off, and continue with the rest of the eggs. At least most of them, LOL! These will be egg salad. 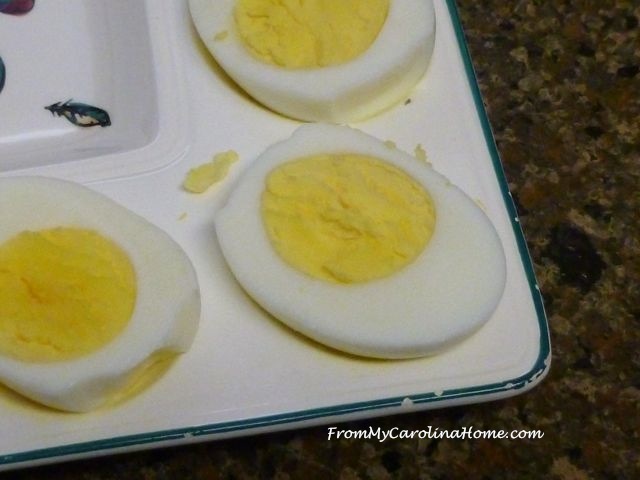 Slice the eggs in half, place the yolks in a small bowl. Break up the yolks with a fork. Mix in your base, heat, acid, and spice. Add any add-ins you want. Pipe or spoon back into the whites. Cover and chill 8 hours or overnight. Then transfer to a pretty plate to serve. Here are the proportions I use. I like the egg to be the star, and I don’t like them too runny. Sometimes people put too much mayonnaise in them, and it takes out all the texture that a good egg should have. I like to use green onion as an add-in, and at times I have also put in bacon bits. They are really good with a small shrimp (or a big one!) placed on top before the final finish. Double or triple the recipe for larger quantities. Feel free to adjust the heat, acid, or spice to your taste. This recipe makes 8. 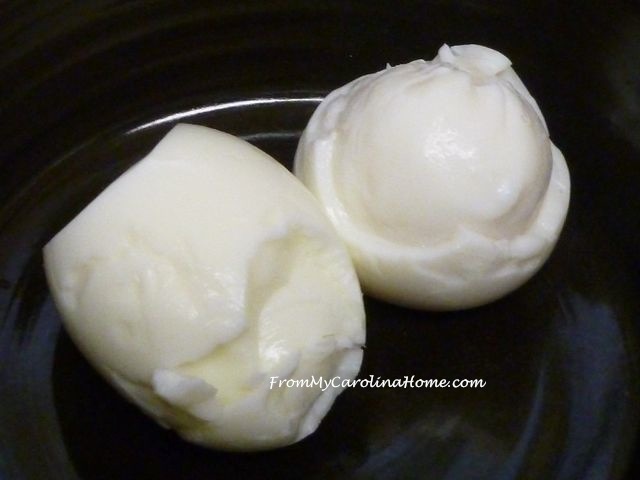 Boil eggs, peel and slice in half. 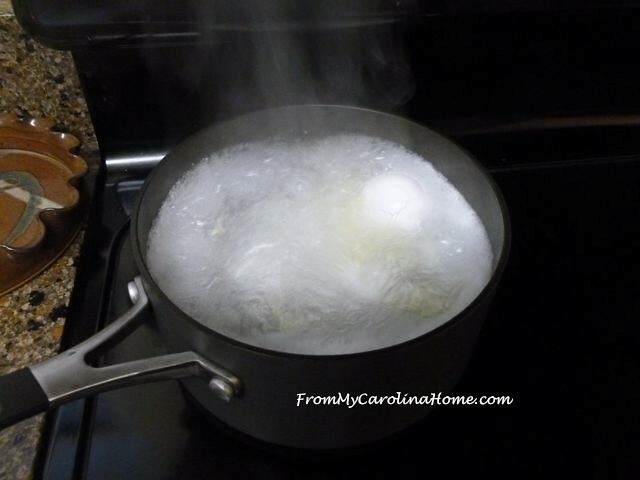 Remove four egg yolks to a small bowl. Add next seven ingredients. 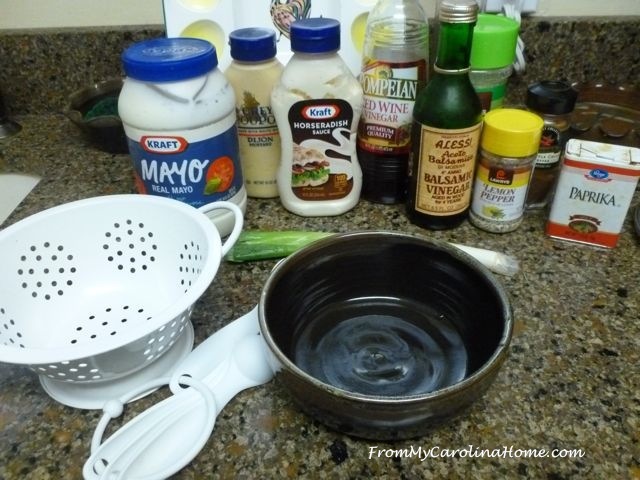 Add any add-in ingredients, I usually use green onion. 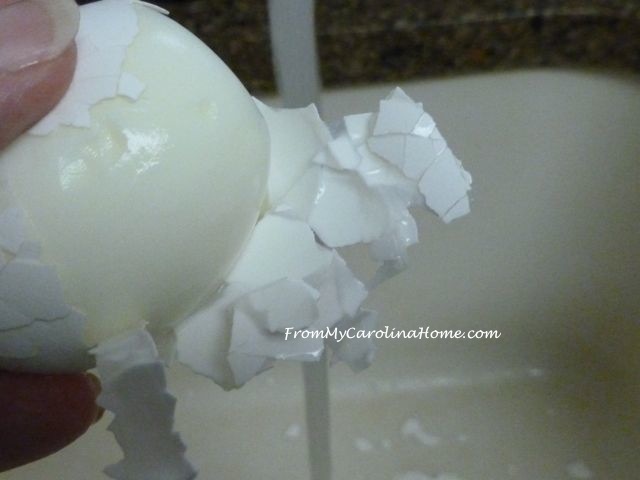 Pipe or spoon back into egg white shells. Sprinkle with Chipotle powder or paprika, depending on how much heat you want. Now the most important part, chill at least 8 hours or overnight. This allows the flavors to blend, and gets the eggs nicely cold and set up. Place on a pretty plate and enjoy!! Now for some variations – all can be combined in different ways for different tastes. Use what you like! Just be sure that the proportion of egg yolk to base is right – one tablespoon of base to 2 large egg yolks. Go for it! 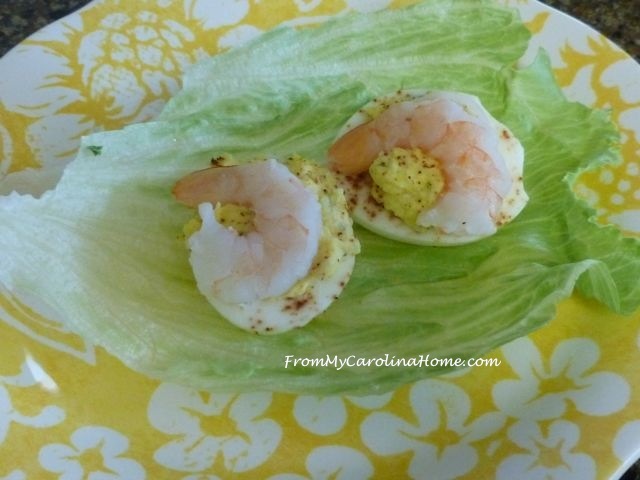 Don’t these Deviled Eggs with Shrimp look scrumptious?!! I almost never have any of these eggs left over, but if you make so many that you do have leftovers, just chop them up and serve on toast the next day, either as lunch, or a different appetizer. Great for serving around holidays to change up the menu. 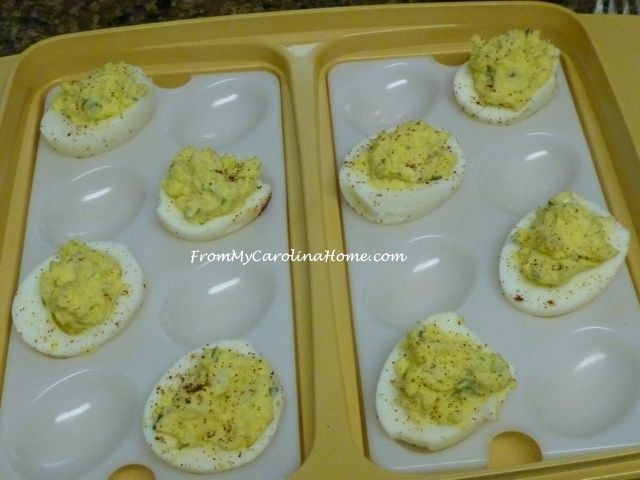 at every party or gathering I have been to, the deviled eggs go fast! These you made, look so yummy. Is it drab and dreary where you are? I rolled out of bed at 7:30 to drizzle and fog, but I think it is going to be like this all day. Blah. We are driving out (40 minutes) to my youngest daughter in Burke Va to visit and have fun. feel like being bossy and insisting he come home now. So, we are taking good care of Lizzie. Oh my goodness, you really have studied the boiling of eggs and mastered the technique! I found this to be a truly educational read. 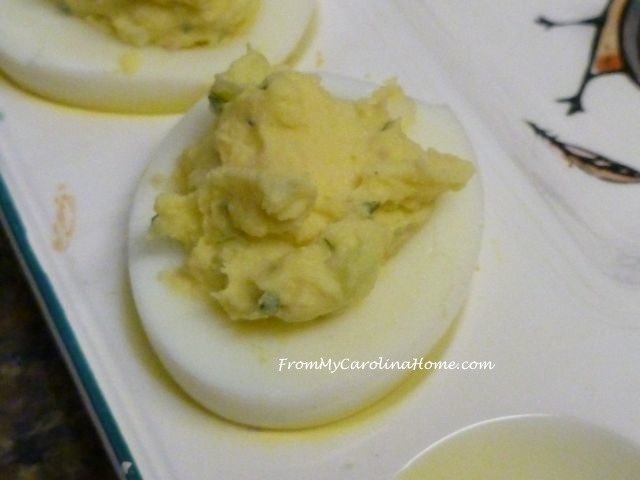 In my immediate family, I believe everyone loves Deviled Eggs or even just a boiled egg for a snack. My daughter, took over the Deviled Egg duty many years ago when she was still in grade school and refuses to let anyone else make them now. She enjoys it that much. LOL. They are always delicious, but I will pass along this information and your recipe. Thank you for sharing and have a wonderful creative day! Looks great! I’m going to try your version next time! I just found the neatest method of filling the eggs. I usually end up w/ the “stuffing” all over the eggs, the platter and ME! I used a very small melon baller and just popped out the balls into the eggs. A little smash to the filling and they filled the egg perfectly….the TINY melon baller thing. That is a fabulous idea!! Thank you for sharing it, I’ll be trying that next time! Your eggs are a work of art. Thank you so much for sharing. 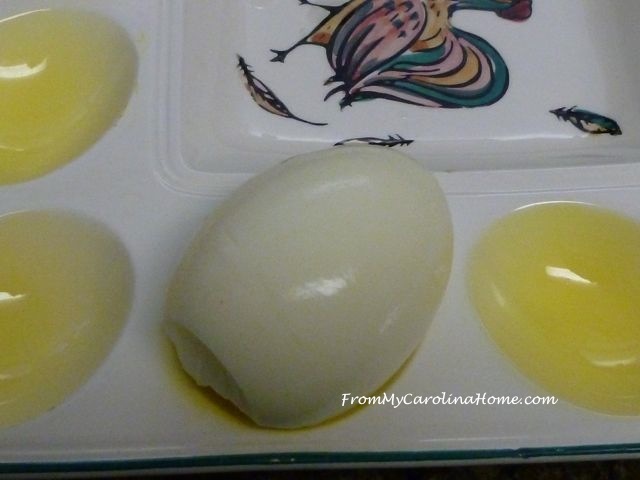 How timely as well, I just boiled 4 large eggs and will use them for the deviled eggs. Thanks again. I’m not a fan of shrimp or seafood, but the eggs look wonderful. Next time I’m making some, I will try this. Thanks!